Discover more about private investigators capability, employment and regulations in La Vergne. Welcome to International Counterintelligence Services, a private investigation agency founded in 1967. Hire a private investigator to end the victim cycle and take back control of your life. The success of many cases depend on how you decide to respond. You can receive a free and confidential consultation 24 hours a day with one of our on-call licensed private detectives. We can be reached at (888) 223-6494 or through our online free consultation system. Hiring a private investigator may seem like a confusing or intimidating experience, but it does not need to be. If you are considering hiring a private investigator in La Vergne, Tennessee, consider ICS. Please contact ICS at (888) 223-6494 for any questions you may have about hiring a private investigator. 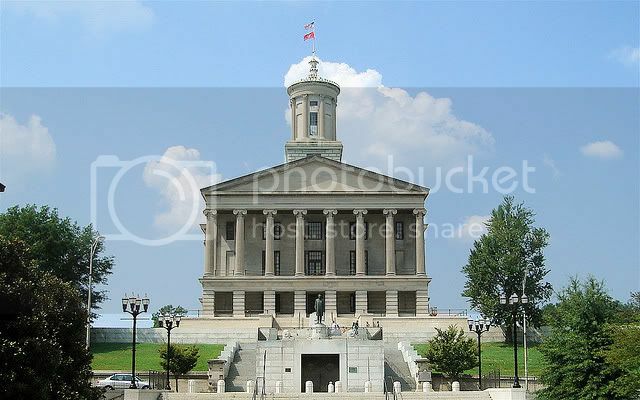 Private investigators in Tennessee, no matter which city or county they are operating in, must be licensed through the Tennessee Department of Commerce and Insurance. In order to receive their license, all applicants must submit all proper documents, pass an in-depth background check with fingerprinting, pay the licensing fee, and renew their license every 2 years. Many private investigators have previous investigative experience from working on a police force, in the military, with a federal investigative agency, or on an Insurance or Corporate Fraud investigative team, although there are other, equally important forms of experience. ICS wants hiring a private investigator in La Vergne to be an easy and reassuring experience, which is why we always offer a free consultation to our clients prior to beginning the investigation. If you are ready to start your free consultation, call ICS today, or submit the online consultation form. ICS maintains our reputation of fast service and excellent work ethics by holding their private investigators to even stricter standards the Department of Commerce and Insurance does. ICS provides their clients with reliable, discreet, and affordable investigations every time, no matter how large or small the case may be. We want you to feel confident when you choose ICS as your La Vergne private investigator. If you live or work in La Vergne and need a private investigation in La Vergne or elsewhere, call ICS and we will put the ICS resources to work for you. ICS services all of Tennessee, including the following areas: La Vergne, the greater Davidson County, Murfreesboro, Nashville, Brentwood, Franklin, Memphis, Belle Meade, Gallatin, Hendersonville, Smyrna, and more. Every city, state, and region has its own unique characteristics that can affect how a private investigation should be handled. La Vergne has roughly 20,000 residents, and is nestled between Nashville to the north and Smyrna to the south. La Vergne is known for their numerous outdoor recreations, low taxes for both residents and businesses, and high scoring public education system, not to mention the city’s close proximity to the country music capital of the world, which means there is always something to see in La Vergne. The city has the pleasantries of the small town lifestyle, with the conveniences and accessibility of the big city. When you need a private investigator to solve your case in La Vergne, contact ICS to get your case started today. ICS accepts most case types. If you need to investigate any kind of family legal situation, whether children are involved or not, ICS has the tools and training to get your case solved. Are you worried your spouse may be having an extramarital affair, or think you are seeing the common signs of cheating? ICS can conduct an Adultery, Infidelity or Cheating Spouse private investigation to help you learn the truth. Often times in life, people lose touch with loved ones, and would like to reconnect, or sometimes, people go missing and the police are unable to locate them due to high work loads and low funding. Either way, ICS can help with a Missing or Lost Locate Person investigation, even if the police have already investigated. One of the most common tools that ICS can provide is a simple background check, which can make all the difference when you are trying to make important decisions about who to hire or who to trust. A background check may be all the information you need, or perhaps it will just be the beginning to a bigger investigation. No matter what your investigative needs, ICS is here to offer a free consultation, so contact us today and tell us a little more about your case.